On September 18 Routh Bolomet was able to present the courtroom of Judge Jeanette A. Castagnetti, evidence of apparent misconduct, collusion and fraud by lending institutions and state courts in the denial of her (Routhʻs) civil and property rights. In essence, Routh has put the courts of the “State of Hawaii” on notice regarding criminal conspiracy (with the lending institutions) and breach of jurisdictional authority. It will be very interesting to see the court try to squirm out of this. The evidence Routh presented leaves no wiggle room. If the court rules in Routhʻs favor and owns up to its crooked actions (like, conspiracy to commit fraud) the “State of Hawaii” will implode. The more likely scenario is that the court will do what it usually does when confronted with a challenge of its authority… completely ignore the rule of law and confiscate the property. However, this time and from now on, State judges will have to do it in the glaring spotlight that Routh put on the court … If you want to witness first hand what the state court does, be there Tuesday, October 23, at 9:30 AM, 777 Punchbowl Street, State Circuit Court Building, 4th Floor, the courtroom of Judge Jeanette A. Castagnetti. The memorandum from the UN independent Expert, Dr. Alfred deZayas, continues to be cited and talked about in many circles working to Free Hawaii. The organizers of this and other similar events are intent on getting more people engaged in discussing the implications of the memo and the immediate and following steps to take to prepare ourselves and our communities in assuming our kuleana as Hawaiian subjects and nationals. That is, what can we, individually and collectively do, starting now, to rebuild our national identity and set a pono course for our country? These town hall meetings are intended to not only stimulate discussion, but to develop a plan of action to reassert our country from the grassroots. Get involved! Maintaining a consistent, friendly presence at the UN (as a non-member petitioner) over the past 10 years is beginning to produce results. Dr. deZayasʻ memorandum is one of them. There are other initiatives that will begin to surface soon. We have not only established friendly relations with diplomats and UN officials, but are working closely with other petitioners representing the national interests of their peoples and nations: Alaska, West Papua, Maluku, Kashmir, Rapa Nui, Western Sahara, Uyghur, Rohingya, Lakota, Cree, etc.) As a result, much of my time is spent to kokua these friends and their independence efforts (thus, the Nobel nomination for my work with West Papua) as well as raising awareness of this lingering problem in the UN system. During September, I attended back-to-back, the 39th Session of the UN Human Rights Council in Geneva and the opening of the 73rd Session of the UN General Assembly in New York. The objectives were: to maintain our presence and our voice in those two important venues and to touch bases with various diplomats, dignitaries and officials posted at those two venues. Several ambassadors have said that its time we “talk to their capitals”… to speak directly with their leaders who can make the decision on how they can engage in supporting our efforts. This means visiting those capitals in the near future to speak with leaders. Iʻll keep you posted. This November 28 is the 175th anniversary of the signing of the Anglo-Franco Proclamation in London, England. 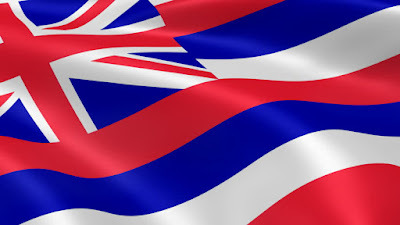 On Nov. 28, 1843 Great Britain and France jointly recognized the Sandwich Islands (the Kingdom of the Hawaiian Islands) as a sovereign state — an equal among the major powers of the world. This recognition as an equal sovereign elevated the Hawaiian Islandsʻ status to the highest level in the international order of the time… a position which we continue to have. Plans are being made all over the islands, and in places like California and New York to celebrate this significant Kingdom holiday. So make it a point either attend an event near you… or organize one yourself! Whatever you do, video it and post it to Facebook, Instagram, Twitter, etc. We want the world to know the Hawaiian Kingdom is here!